Based in Santa Rosa, California, Jeffrey J. Allen Trust and Probate Litigation serves clients throughout the North Bay area including Sonoma County, Napa County, Lake County, Marin County and Mendocino County. With over thirty-five (35) years of proven trial results throughout Northern and Central California, our firm is highly experienced in disputed trust and estate matters, including early analysis and consultation, mediation/settlement negotiation and full litigation/ trial services. 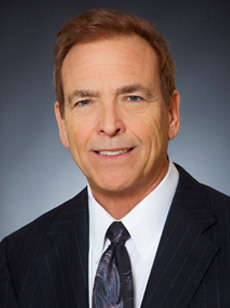 In addition to the successful defense of Trustees and other fiduciaries, our firm has obtained six and seven-figure settlements/trial awards on behalf of beneficiaries/creditors and injured elders in the areas of will and trust contests, inheritance disputes, physical and financial elder abuse, fraud and undue influence and probate/trust related real property matters. See more about our services here. If you are in need of a seasoned, result-orientated attorney who will provide aggressive but cost-effective services in a one-on-one professional relationship, then contact our trust and estate litigation law firm today.